Mature loquat tree located on the campus of Clemson University. Loquat, Eriobotrya japonica, also called Japanese medlar and Japanese plum, is an evergreen shrub in the family Rosaceae that is native to China and Japan. It is valued for its coarse dark green foliage that adds textural interest to the landscape. Loquat grows as a small tree or a large shrub at 15 to 30 feet high and wide. Care should be taken to plant trees 25 to 30 feet from structures and power lines. Loquat is a rapid grower putting on up to 3’ of growth per year in ideal conditions. The leaves are alternate, simple, evergreen, and oftentimes whorled at the branch tips. Leaf size is variable from 6 to 12 inches long and 3 to 5 inches wide. The upper leaf surface is glossy and dark green while the lower leaf surface is covered in short whitish to rusty hairs. The leaf veins are strongly pronounced, reach to the leaf margin, and terminate in a prickly tooth. Loquat trees flower in the fall (September to January). The fragrant, white to off-white flowers have 5 petals, about 20 stamens, and are ½ to ¾ inch in diameter. Loquat produces yellow, pear-shaped to oblong acidic fruit in the spring (April through June). 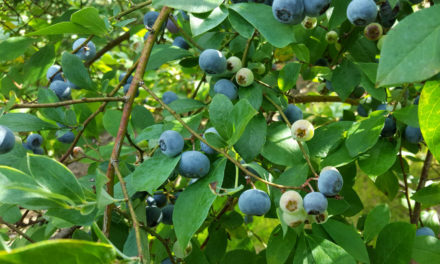 The fruit is eaten raw or processed into jellies, jams, preserves, and pies. Loquat is grown commercially for fruit production in California and the lower regions of the Gulf States, especially Florida. However, loquat is mostly considered an ornamental in South Carolina because fruit production is limited by frost in the winter and excessive heat and moisture in the summer. Leaves and flowers of a mature loquat located on the campus of Clemson University. Loquat flowers are fragrant, white to off-white, have 5 petals, about 20 stamens, and are ½ to ¾ inch in diameter. Loquat is installed not only in mixed shrub borders, but also as the specimen plant. Loquat trees tend to develop a nice shape on their own when given adequate space; therefore, pruning specimens is typically unnecessary. Loquat trees respond well to pruning. Mature trees can be pruned to maintain trees at 6 to 12 feet tall. According to Dirr’s Manual of Woody Landscape Plants, loquat can be a feature planting as it “makes a fine espalier against a wall”. Loquat is adapted to a subtropical to mild-temperate climate (can grow in USDA zones 8 to 10, but is best suited for zone 9 in South Carolina). According to the University of Florida, “Loquat trees are very cold tolerant and may withstand temperatures down to 8 to 10 °F. However, the flowers and fruit are killed by temperatures below 27 °F.” Summer heat, especially above 95 °F, and drying winds can cause leaf scorch and can have a negative affect on tree growth. Loquat will grow in sandy to even heavy clay soils, but the soil must be well-drained. Over- or under-watering can cause loquat trees to perform poorly and even decline. Most trees and shrubs appreciate mulch to deter weeds and to keep the soil moist and cool. Loquat grows best in full sun, but will tolerate part shade. Loquat propagates by cuttings taken in June or July, but may be difficult to root. It should be noted that when loquat is propagated by seed, it does not come true from seed and has a long juvenile period before it will flower or fruit. Fire blight can be troublesome on loquat. The bacterium that causes fire blight, Erwinia amylovora, is spread by rain and insects, such as bees, ants, flies, aphids, and beetles. Treatment for fire blight infection includes the removal and disposal of affected branches by pruning 12 to 18 inches below any infected tissue. Disinfect pruning tools between cuts to discourage the spread of the disease. Avoid excessive nitrogen fertilization that results in susceptible succulent new growth. Insecticides are not recommended during bloom out of concern for pollinators such as bees and flies. Bactericides are typically not feasible due to the difficulty in adequate coverage of blooms and young growing shoots, especially on large specimens. See HGIC 2208, Fire Blight of Fruit Trees for more information. ‘Golden Nugget’, also known as ‘Thales’ and ‘Placentia’, was planted in California between 1880 and 1900. The fruit are large, flavorful pear-shaped fruit that ripen late in the season. ‘Gold Nugget’ is self-fertile. ‘Champagne’ was introduced into cultivation in California around 1908 by C. P. Taft. 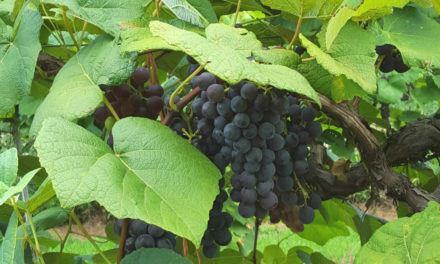 ‘Champagne’ has excellent fruit quality for zone 9 and is typically grown commercially. The fruit is elongated, pear-shaped, with white or yellow flesh that is soft, juicy, and subacid to sweet. Fruits mature mid- to late season. ‘Champagne’ is self-fertile. ‘Variegata’ is grown as an ornamental because of white and pale-green splashed variegation of the leaves. Dirr, Michael. Manual of Woody Landscape Plants: Their Identification, Ornamental Characteristics, Culture, Propagation and Uses. Champaign, IL: Stipes Pub., 1998. Print.